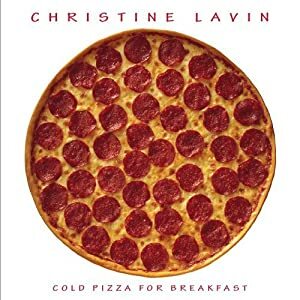 INTERVIEW: Christine Lavin, Singer-songwriter, Contemporary Folk Humorist and performer, and author of the new book, Cold Pizza for Breakfast: A Mem-wha?? Now available in audiobook format as well. 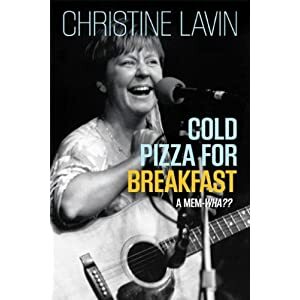 Beloved folk musician, singer, songwriter, humorist, and performer Christine Lavin is the author of a new memoir, Cold Pizza for Breakfast: A Mem-wha?? published by Tell Me Press in June 2010, with a foreword by actor-songwriter Jeff Daniels. It is now available in audiobook format as well. The book and current tour celebrate her twenty-fifth year as a full-time, independent touring musician. Christine Lavin will travel to big cities and small towns, music halls and libraries, coffee houses and bookstores, and even Israel. "Her biography, like her life, is a work of art," says singer-songwriter Janis Ian. The memoir recounts Lavin's circuitous, often hilarious route to becoming one of contemporary folk music's most respected and beloved songwriters and performers. Her life in the business includes encounters with show biz and music greats including Joan Rivers, Pete Seeger, Odetta, Robert Klein, Bob Dylan, Ervin Drake, Dave Van Ronk, Kenny Rankin, Tim Hardin, Arlo Guthrie, Livingston Taylor, and even Henny Youngman. Readers discover that Lavin first learned to play guitar by watching a program on Public TV and to this day cannot read music. At the end of the book, Lavin includes a list of the Top 1000 songs she has played on her XM radio show, "Slipped Discs," encouraging readers to Google them all so they might make some life changing musical discoveries. Steve Wozniak, author of iWoz: Computer Geek to Cult Icon: How I Invented the Personal Computer, Co-Founded Apple, and Had Fun Doing It, and diehard folk music fan, contributes a song list to the book of 28 songs played as guest DJ on Christine's show. "When I see Christine Lavin in concert, I laugh and shed a few tears. Reading Cold Pizza for Breakfast, I laughed and shed a few tears. Just like her concerts, I didn't want it to end," opined Michael Stock, host of WLRN Radio (Miami). Cold Pizza for Breakfast: A Mem-wha?? touches on dealings and misdealings with record companies, music publishers, concert promoters, and club owners. But through it all is Lavin's eternally cheerful and optimistic outlook as she becomes part of the heart and soul of folk music in New York from the mid-1980s to the present. Christine Lavin writes about things we didn't know we knew, makes us feel what we didn't know we felt, and, in the end, helps us understand life in a way we never thought we would," writes Jeff Daniels in the foreword to the book. "That's what a true artist does." And as he so rightly concludes, "We're the better for it." CHRISTINE LAVIN, singer, songwriter and entertainer has released 20 solo albums and eight compilations. She has garnered eight ASCAP Awards and was the founder of the performing folk collective Four Bitchin' Babes. Her songs are performed by artists including Betty Buckley, Sutton Foster, Andrea Marcovicci, and have been featured in Off Broadway and touring productions. Her best-known albums include: "Good Thing He Can't Read My Mind," "Please Don't Make Me Too Happy," "One Wild Night in Concert." Her best-known songs include: "Ballad of a Ballgame," "Sensitive New Age Guys," and "Bald Headed Men." She created and hosts "Slipped Discs" on XM/Sirius Radio's Channel called The Village.